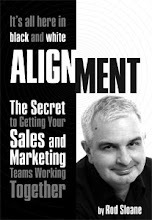 Sales and Marketing Alignment Blog from Rod Sloane: Secret Tip to include in your Next Media/Press Release. Secret Tip to include in your Next Media/Press Release. Why is this on interest? Where can I see it or buy it? Now for my special tip, make sure to include a client or third party quote, it adds all the power to your message. If you cannot find a 3rd party quote then by ball means quote yourself. Go on issue a press realease and issue it to the world. Search “free media release service” on Google and starting telling the world about your success. Remember to send a copy to clients. Has decided to write to you the offer for business cooperation, as to a member of club. Probably, I should write all over again to you to learn your opinion, but I risk, that it will be interesting to you or you will think up, as it is possible to use favourably. I use automatic text translation from Russian on English, and I ask to forgive my computer for translation. Everyone know, that during crisis many people have many problems, in affairs and in personal attitudes, there is a depression and a panic. Almost nobody knows what to do further, therefore do even more mistakes. My offer: To spend lectures on-line in Skype, for all comers. To spend meetings on radio on-line with the astrologist. I professionally am engaged in the astrological analysis in business, I predict situations, I model variants, I estimate psychology of attitudes in family, and I recommend the client the best decisions. Because now it is necessary to combine a miscellaneous, that to have qualities as a result. I prepare for author's lectures for women to help them it is better to understand attitudes in family and with colleagues. I use methods of numerology, an astrology and psychology. Certainly, for dialogue with clients in the USA, it is necessary for me the help of the translator for simultaneous interpretation from Russian on the American English language. I hope, you will think of using my opportunities professionally.